Twin sisters Natalia Nekrasova and Valentina Anisimova have long built a career in real estate – sociable and active blondes for many years were successful realtors. The sisters did not think to open their business together. But in the construction business, difficulties began, and the sisters went into the decree and, unexpectedly for themselves, at the children’s holiday, found an idea for their business – to open a stylish loft where parents would bring their children to the holidays. In just a couple of months they created a children’s center “Baby’s loft & photo” from scratch, where kids swing on a swing, ride downhill, watch a circus performance, and moms make hundreds of photos in beautiful scenery. Valentina and Natalia told the journalist NG. BUSINESS how they opened their case in the decree, why they do not want to go back to the offices and how to work, so that in just six months they learned about business even in other regions. 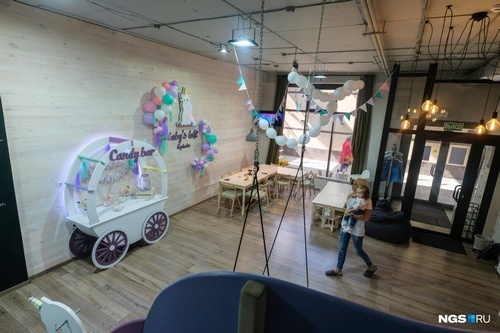 In February, a new children’s center “Baby’s loft & photo” opened in a new building on Dusi Kovalchuk Street, 248, where the interiors remind more of the Disney princess’s room than the usual gambling – around the unicorn, there is a coach with sweets and everything around is exceptionally tender lavender . Its creators – sisters twins Natalia Nekrasova and Valentina Anisimova – because of their similarity more like a fairy from cartoons. Until recently, the sisters worked in real estate and did not plan to open their business – they had no idea. Valentina worked for seven years in the sales department of the construction company, and Natalya worked for the contractor for three years. “At first I got a job with a developer, I worked as a realtor. Then the builder called me and said: “Valya, I like you as an expert, come to work for me. Can not you find me the same as you!”. Natasha just came out of the second decree, “- says Valentine. The careers of the sisters developed successfully, but a crisis came, construction sites rose, salaries fell, Valentina went to the first decree, and Natalia to the third, – and the sisters decided that they did not want to return to their old job. The idea came spontaneously – Natalia visited the children’s center and decided that together with her sister they could make a more stylish and sought-after loft in which children would be interested, and moms could also rest – they would not have to wash dishes for all guests at the child’s birthday. “I was at the birthday party in the children’s center, when [daughter] Angelica was a year and a half. I liked it so much, I immediately call Vale: let’s open it. She agreed, caught fire instantly. In November we came up with, in December we already signed a lease agreement, we make repairs for a month and in February we have already opened. Now many do not want to celebrate children’s birthdays at home. It’s troublesome – and cook, and remove the dishes, and then we’ll cover the table, find catering. Through us you can order a show program, hold a master class, decorate balls – that is, a turn-key holiday, so that moms come and rest, because many women work, “explains the idea of ​​having a large mother, Natalia. The area of ​​82 square. m sisters fit swings, children’s kitchen and house, a small tent-photo zone, two dining tables, a candy bar and many toys. As they explain, the loft accommodates up to 30 people, but is most comfortable when the guests are not more than 27. “We liked the concept of the place. It seems to be a ground floor, but there are large windows. There is also a children’s ballet school, a children’s pool – all one sphere. They did everything from scratch, there was a fine finish. To launch the loft, we invested about 1.2 million. Their costs have not yet been paid back, but the breakeven point has passed – in three months already a little even got clean. Perhaps, this fall we will be a plus, “- says Valentine. The cost of the holiday in the loft starts from 3100 rubles – this includes three hours of rental gaming on weekdays in the morning, and the maximum holiday budget reached 25 thousand, but sisters admit that the amount depends heavily on catering and photographer. Summer is not a season for such establishments, but in June and July they spent three to four birthdays a week, and now they are booking for September and October. 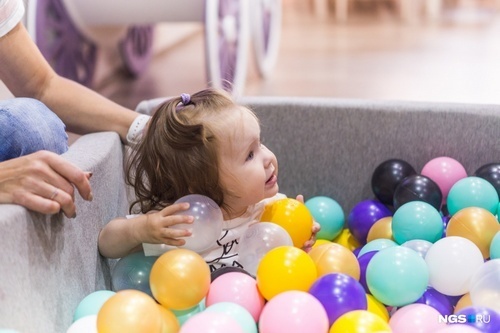 According to 2GIS, now there are 138 game rooms in Novosibirsk, but many of them are located in shopping centers where parents bring their children to play while they themselves go shopping. Sisters counted up that there are ten serious competitors in their niche. For half a year they watched how such projects were closed. Although they feared that the idea could burn and become unprofitable, they decided to try and bet on the design – to create an interior in which parents would like to bring children. In just six months the project of Natalia and Valentina became interested in two cities – now the sisters are already negotiating the sale of the franchise. Business immediately became a family one – husbands help their sisters, and their mother works with daughters and grandchildren. But sisters admit: when you have your own business – you have to work at any hour of the day and night, and not as scheduled in the office. “If in real estate we completely worked off the client, then here we have all the responsibilities distributed. Our mother works as an administrator five days a week, we replace two days, but we plan to take a second administrator. I do advertising, I draw up a trademark. When they became their own bosses, they became more demanding – I want it to be even better. Sometimes you have to sit up late at night, because the child needs a lot of attention, I do not want my daughter to remember forever with the phone. She put her to sleep, and I can prepare a post to Instagram myself before midnight, “Valentina adds. One of the main advantages of the business for themselves sisters still believe that now they can work and build a career without leaving the house and family – they are no longer limited to the office and customers, and the children did not interfere with business, but, on the contrary, they pushed to the discovery. “For young mothers, this is a convenient business. You decide when you meet a client, postpone a meeting, or work from home. With the family, now we communicate more often – my mother and I have always been friends, but now we can call 20 times. Together with my sister, I was able to start a business when my daughter was only six months old. And most importantly, children often with us, they play while we work. If it were not for the children, then, probably, would not have come to the idea, “Valentina believes.